In this post I am going to refer to three web-based retirement planning services, and demonstrate how they complement each other. I will use a case study of an NZ couple trying to work out how much they should accumulate if they want to be able to spend $100,000 per year in their retirement (including NZ super in this figure). For Kiwis, a good place to start is Sorted’s Retirement Planner. I prefer to use this calculator as if retirement is imminent, so when it asks “How close is retirement” I include the current month and year. When it asks how long I need to plan for, I select ages 95 for both partners (ie, a 30 year retirement). It’s necessary to select an amount to live on, in which case I select $100,000 yearly. 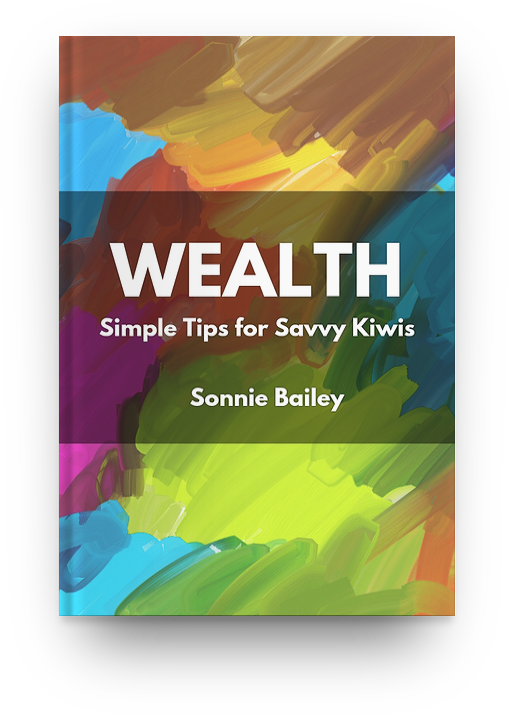 I include NZ super as an income source and select $0 for any other Kiwisaver, other savings and investments, and other income. The planner tells me that $1,459,062 will be needed to sustain spending of $100,000 per year until age 95 (ie, 30 years). From here, I hop onto Vanguard’s Retirement nest egg calculator. The calculator runs 5,000 Monte Carlo simulations to see how likely a given figure will last for a given number of years. The nest egg calculator runs the 5,000 scenarios and tells me that in 79% of the simulations a portfolio of $1,450,000 will survive 30 years with annual drawings of $69,000. Good enough for me. Finally, I hop onto FIREcalc. On the first tab I say that spending will be $69,000 per year, the portfolio will be $1,450,000, and put down 30 years. In the “Other income/spending” tab I put $31,000 down as social security, starting in 2017. I ignore the “Not retired?” tab. I keep the “Spending model” tab as it is (although these scenarios are worth having a look at later). In the “Your Portfolio” tab I update the 75% “Total market” option to 50% (ie, a 50/50 split between equities and fixed income). I leave the “Portfolio changes” tab alone. In the “Investigate” tab I keep the default option, and select “Submit” at the bottom of the page. FIREcalc then generates a page, modelling these variables for 30 year periods from 116 historical retirement years since 1871. I’m simplifying wildly, but FIREcalc suggests that of all of these historical scenarios, drawing $69,000 per year in retirement from an initial sum of $1,450,000 would have worked out fine 69.8% of the time (compared with Vanguard’s 79%). FIREcalc illustrates by showing how I would have fared in every single one of those historical scenarios. It’s telling how much the final outcomes diverge, depending on the year of retirement. FIREcalc explains that, on average, I’ll end up with $915,420 after 30 years. However, I could have ended up with as little as -$1,402,928 (if that were possible!) or as much as $4,999,836. It really depends. I can go back through the FIREcalc tabs and run a number of other scenarios. For example, I can go to “Investigate” and see what starting portfolio value will give me a 95% success rate. It tells me that a starting portfolio of $1,727,650 provides a success rate of 95.7%. Alternatively, I can see that reducing spending to $88,912 per year in retirement will bring the success rate over 30 years to 95.7%. Using these calculators together can give an individual or couple some degree of confidence about their retirement goals. Importantly, the Vanguard and FIREcalc calculators make it apparent that it’s impossible to broker in certainties. For the most parts, we are looking at maximising our probabilities. The figures generated by these sites are valid as at today (1 May 2017). Everybody’s situation is different and they should go through these exercises personally, based on their own circumstances. There are a number of assumptions underlying all of these calculations. And of course, there is no guarantee that any simulation will reflect future returns and outcomes. All we can do is use these calculators to provide guidance about selecting appropriate financial objectives. In reality, of course, if you were generating lower returns than you expected, you might look to reduce your spending which would ultimately improve your retirement outcomes. That is an important reason why you want to consider having a buffer with retirement savings in the first place. Also – a retirement figure such as $1,450,000 is in today’s dollars. If you plan on retiring in 20 years’ time, the figure in dollar terms is likely to be much higher because of inflation. It’s easier to think in terms of today’s dollars, but when planning it’s important to look at “real” (ie, inflation-adjusted) returns and assume that your savings continue to increase by at least the current rate of inflation.